QUALITY EXUDES! 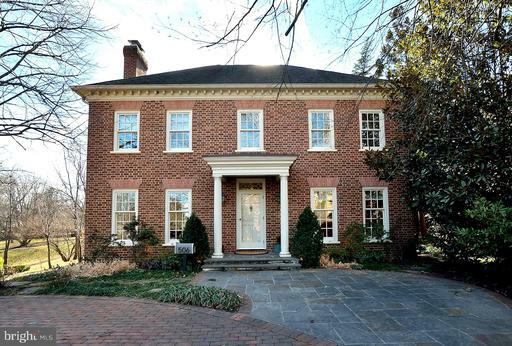 FABULOUS BRICK HOME W/ LARGE ROOMS, 3 FIREPLACES, PATIO, GARDEN SHED, WATER FEATURE. LARGE EAT-IN KIT, LR W FP LARGE SEATING AREA. SKYLIGHTS. SCREENED SUNROOM. HUGE DR W/ FP UNBELIEVABLE CURVED BUILT-IN! FAMILY RM W/ FP. WORKOUT ROOM. OPEN SUNDAY 2-4. 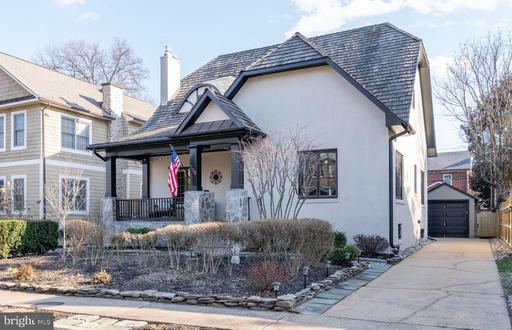 Fabulous colonial on one of the prettiest streets in Rosemont! 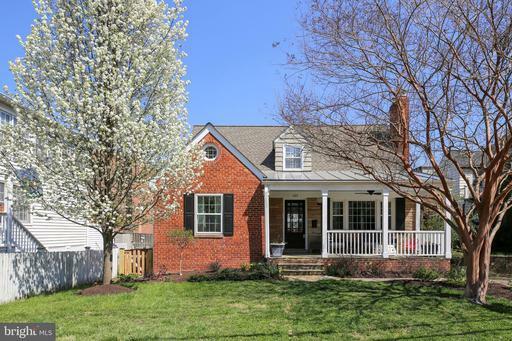 This brick home has 4 bedrooms, 3.5 baths and an accessible detached garage and lovely yard. The open main level floor plan is versatile! Currently the living room with wood burning fireplace is also used as a combined living room / dining room and there is an adjacent family room aka dining room There is a large light filled den/home office, OPEN kitchen with peninsula/bar area and large glass enclosed porch overlooking landscaped yard.Three bedrooms on second floor, master with smaller bath potential to expand over side den 2 bedrooms with a jack and jill bath. A fixed staircase added to third level with 4th bedroom and full bath! Finished lower level with half bath and laundry room. The yard has a beautiful cherry tree providing shade throughout the summer months. Recently added huge patio is perfect for relaxing and enjoying al fresco dining...Outdoor games and BBQs welcomed!Oak floors refinished in 2010, Space pac CAC installed throughout. Maury Elementary School. 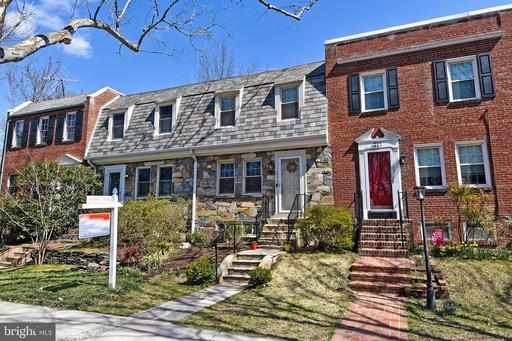 Convenient to 2 Metro, Old Town Del Ray shops and restaurants! This one wont last long! 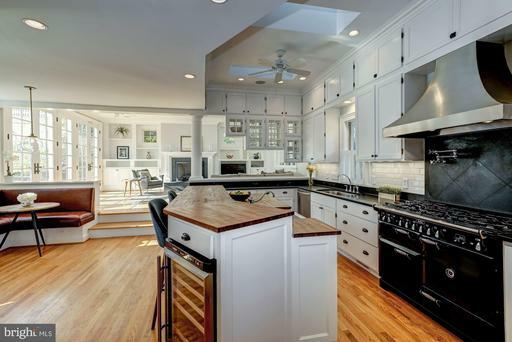 Fully remodeled, 3 bedroom 2.5 bath impeccable Rosemont Cape Cod with a gracious Family Room Gourmet Kitchen addition. Sited atop a hill, the welcoming front slate terrace leads to the grand entrance. Impressive coffered ceilings and built-ins in the foyer and living room. Spacious formal dining room. Spectacular kitchen includes a large island / breakfast bar, custom cabinetry backsplash, tons of built-in storage, upgraded appliances including an AGA stove, pot filler, two pantries two sinks, skylights built-in breakfast booth. Open to the light-filled Family Room with wood burning fireplace, custom millwork, French doors to slate patio private yard. Private first floor master suite complete with dressing area updated bath. Upper level bedrooms with character and half bath. Lower level recreation room, laundry storage room with garage access. One car garage and paver driveway. Easy commute to DC Metro. 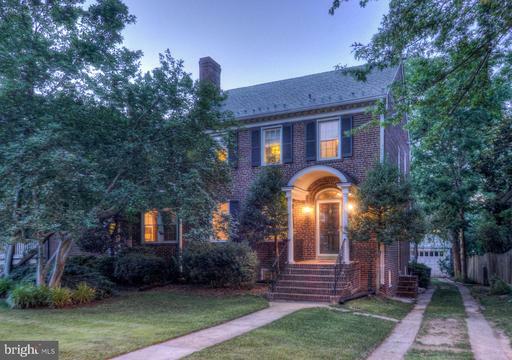 Close to all that Old Town and Del Ray have to offer- shops, restaurants convenience. Stunning 3 bed/3.5 bath Rosemont beauty! 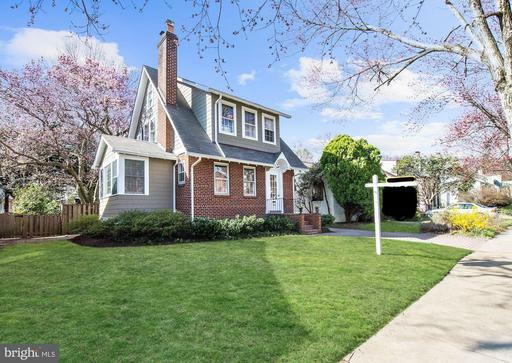 This cape cod with great curb appeal has been meticulously maintained. From the entry, a gorgeous living room with wood burning fire place is situated on the left with a formal dining room to the right. Just off the living room as a fully enclosed sunroom - great for an office or a place to relax and sip your morning coffee. The rear of the home features a gourmet kitchen and large family room with an additional fireplace. A powder room completes this level, which features hardwood floors and amazing finishes and light fixtures throughout. The upper level includes three bedrooms and two baths. The master bedroom is truly a retreat, with a large walk-in closet and an ensuite bath. The fully finished basement features living space, a full bathroom and laundry room. The fenced backyard is a private oasis. Park your car in the driveway and walk to everything! Welcome home! 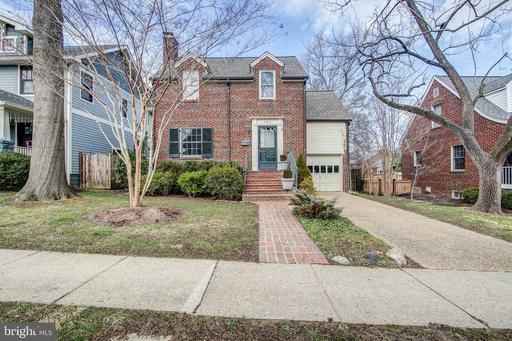 Welcome to this expanded Cape Cod in the heart of tree lined Rosemont. Not a detail missed in the updates completed over the last six years. 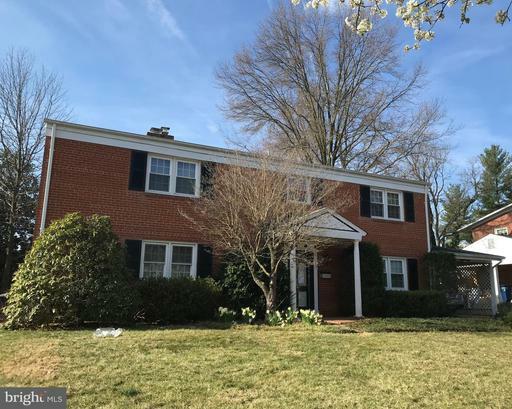 Fully expanded marble bath on upper level, new front porch and updated kitchen with granite counters and bar, tile backsplash. Original hardwood floors have been refinished throughout. All new light fixtures, doors and closet organization systems in entire home. Enjoy a fully finished walk out basement with family room, bonus room, full bath and laundry room with kitchenette. Triple pane windows along front of home, off street parking and fully fenced yard complete with blossoming trees all improve the everyday living within the home. 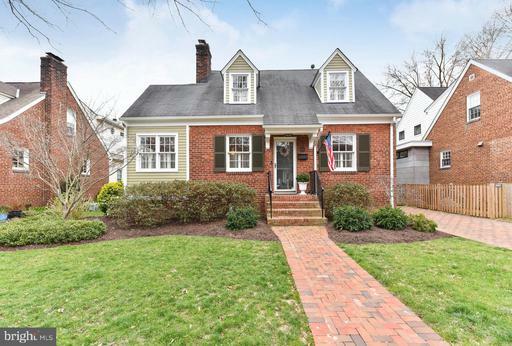 Stunning renovation of a 3 bedroom, 2 bath cottage in the sought after Rosemont neighborhood of Alexandria. The cottage-style landscaped yard welcomes you and youll want to stop and relax on the over-sized covered front porch on your way in. Once inside you are greeted with a bright open floor plan with large living spaces. The living room showcases a stone stacked fireplace feature wall surrounded by built-ins. A gourmet kitchen is the ideal space to prepare meals and flows to the spacious dining room area perfect for everyday living or entertaining. Two private bedrooms and a bath, laundry and a mudroom round out this level. The upper level is truly a retreat with master suite that delights. 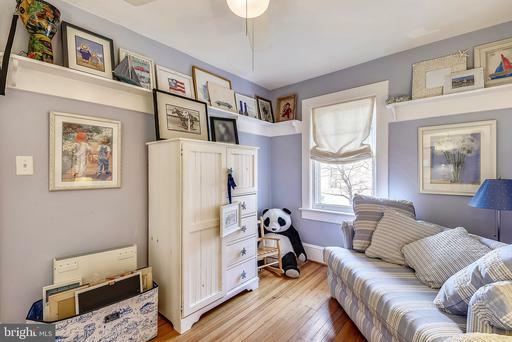 Large bedroom with sitting area or workout space, large walk-in closet and spa-like bath with historic clawfoot tub. The walkout lower level offers laundry space, plenty of storage and utilities. Enjoy the patio in the backyard as spring arrives. A one car garage and extended driveway provides the perfect excuse to leave the car at home and walk to metro or Old Town. Welcome home! This home is a real find in this location. 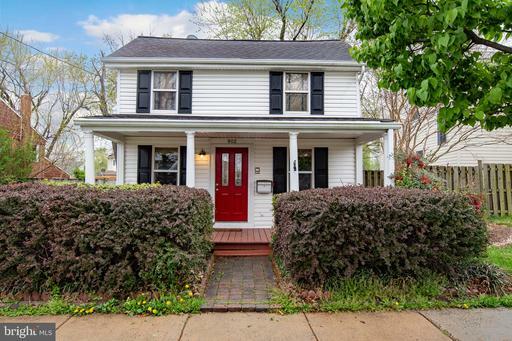 From the inviting front porch to the fenced rear yard with deck, and off street driveway parking, it is a gem. 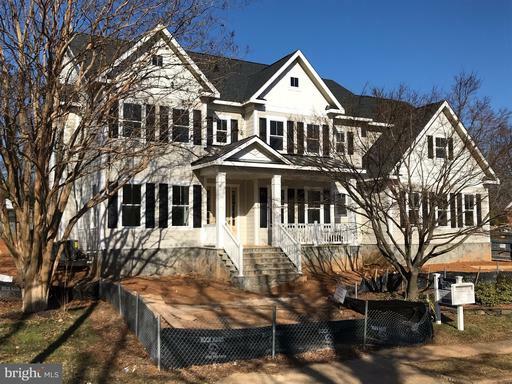 The main level features built in workspaces, an open concept kitchen with easy back yard access, a powder room, a laundry room, and a beautifully updated kitchen with glass tile backsplash. The top level of the home offers 3 bedrooms and 2 bathrooms. The hall bathroom is a ~Jack and Jill~ with access to the front bedroom and the hallway. The master suite offers an en suite bathroom with updated tile and enormous walk in ~his and hers~ closets. A simple farmhouse in design, with form and function for modern living! 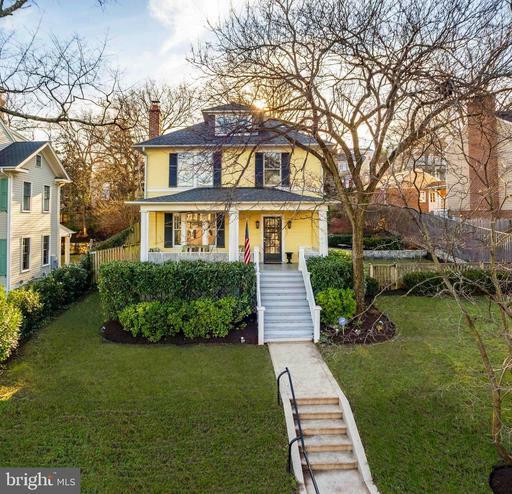 This charming Del Ray Porchfront Farmhouse is located just steps from the shops and restaurants of Del Ray and 3 blocks from Braddock Road Metro. Close proximity to National Landing and the New Amazon HQ2! 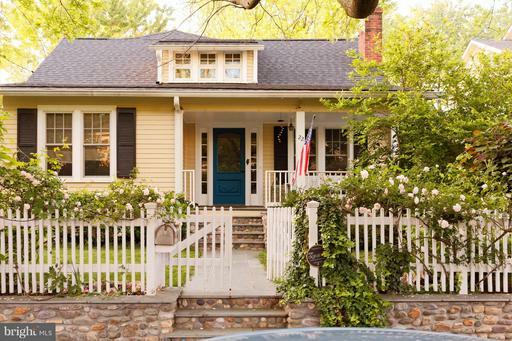 Abundant charm and character in this 1930s home located in the desirable Rosemont neighborhood just blocks to METRO, Old Town Del Ray! Foyer entry with arched doorway to the living room with gas fireplace and adjacent den/sunroom. Dining room with bay window and built-in, kitchen with quartz counters, SS appliances and breakfast room with access to a lovely yard with large deck,custom brick patio and garden space. Main level half bath, 2 upper level bedrooms and large full bath and walk up stairs to a finished third level. Third level has 2 skylights, lots of storage, bench seat and is the perfect studio or BONUS room for overflow guests. Unfinished basement with ample storage, including 2 storage closets.Sunroom has cork floors, Hardwood floors on 2 levels, tons of windows with natural light custom built-ins. OFF STREET PARKING!Windows As-Is. 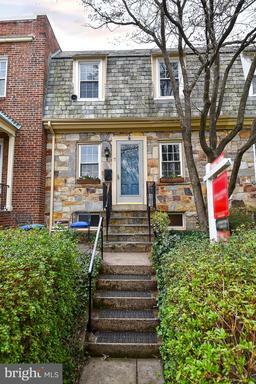 Steps to Braddock METRO and Short Stroll to Del Ray. Refined Taste, Comfort and Quality Renovation. Tremendously Inviting Home with Warm Original Character. Lovely Living Room with Fireplace. Wonderful Dining Room with Wall of Custom Bookshelves. Huge Magical and Marvelous Screened Porch Overlooking Landscaped Yard and Deck. Beautiful Original Wood Floors. Garage. Finished Lower Level with Full Bath. Prime Location! 3 blocks to King Street Metro allows for an easy job commute and no bus schedules to worry about. This 3 Level Stone Front Townhouse offers an elevated front entry offering greater privacy. Beautiful tree lined street and just 2 blocks to the famed Rosemont Blue Park where all the neighbors congregate in the evenings Saturdays. Easy street parking plus a deeded off street parking spot for 1 car outside the backyard gate. The deep lot is private, fully fenced and offers room for further expansion to the back. The granite/cherry kitchen has been opened up with a breakfast bar and an expanded butlers pantry area for extra storage and countertop space. Dining Room is large and accommodates a large table. 1/2 bath on main level and a full bath on both upper lower levels. The finished daylight basement is cheerful and offers a glass rear door which walks out to the garden patio. Upgraded laundry area. Generous storage below the main level bump out offers easy bike garden storage. Both upper BRs are generous in size and all windows have been upgraded to double pane windows. Walk to metro along quiet community path. Tennis 1 block, Dog Play Area, 2 blocks, Grape Bean Cafe, 1 block. Everything you could want in a community and a home! Live next to "Old Town"within steps of restaurants the King Street Metro". 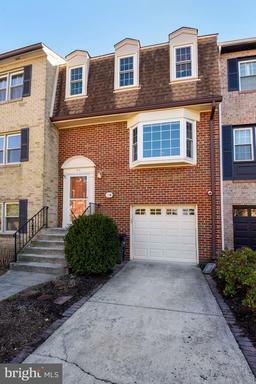 This beauty in Rosemont features 2 br, 2 ba and finished lower level. 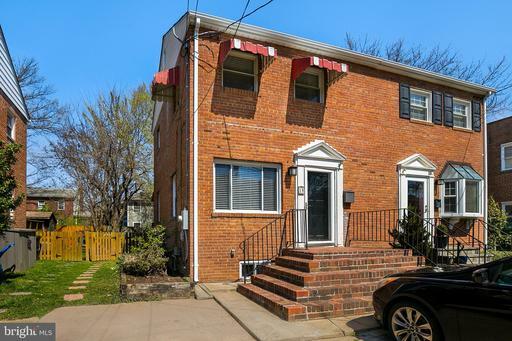 Sunny and welcoming 3 level Rosemont Park Duplex on quite and friendly Myrtle Street. Beautiful original hardwood floors throughout. Stylishly renovated kitchen is open to the dining area. Finished basement. Fully fenced backyard with a large covered deck and storage shed. Brand new roof. Two off-street parking spaces. Half mile to Braddock Metro Station. Minutes to Del Ray and Old Town shopping and dining.